Through long-term, collaborative development, we are working to meet global challenges with sustainable solutions and help deep transformation take place in rural communities. On April 25, 2015, the 7.8 magnitude "Gorkha Earthquake" destroyed 99% of the homes in Takure and the surrounding communities. Overnight, families were left without homes, Our primary goal has always been to support the home reconstruction effort. 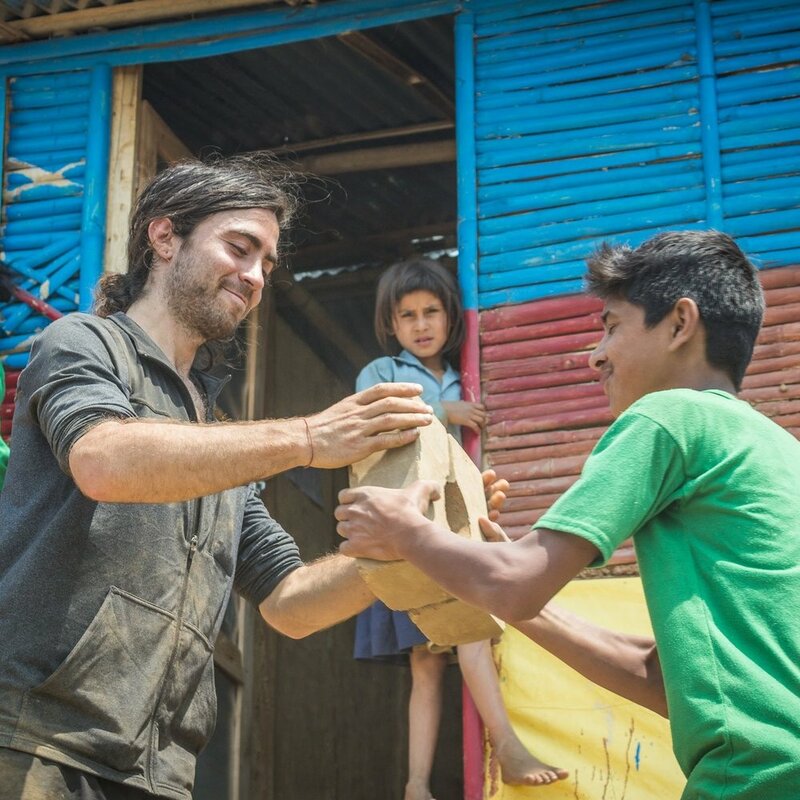 With that aim, we focus in three main areas of impact: introduction to natural building techniques, local production of natural building materials, and distribution of these same materials. The people of Nepal are farmers. Our goal is to engage farmers of all ages in more profitable farming through the active reforestation of their land and climate change mitigation. We focus on cash crop trees, most notably coffee, but also citrus and moringa. This last year, Conscious Impact distributed more than 3,000 trees, bringing our total to 11,500 trees distributed to local farmers in the last 3 years. Our hope is to reach 25,000 trees within 5 years. Our Youth Outreach Program’s goal is to provide extracurricular support to nearby schools at the primary and secondary level. The two main forms of support are environmental education and youth empowerment. Conscious Impact has chosen to support young people to feel more deeply connected to the natural world, and to help cultivate positive, self-confident, and healthy mindsets about themselves and one another. OUR MISSION IS TO CONNECT PEOPLE TO THEMSELVES, EACH OTHER AND THE EARTH THROUGH COMMUNITY SERVICE WORK AROUND THE WORLD. We believe that change takes time, and that only through long-term partnership can deep transformation take place. For this reason, we strive to develop relationships of depth with rural communities around the world. Currently, Conscious Impact is partnered with only one community, Takure, a small village in rural Nepal. In the last three years, we have begun to foster dialogue, trust, respect and understanding. We partner with the local community to ensure that our programs are truly helpful, relevant and driven by local leadership from within the community. From this foundation, we are building programs and projects that are inclusive, respectful, conscious and effective. We invite international volunteers of all backgrounds to join our project to offer skilled or unskilled labor, financial donations, and compassionate service to the local community.